Deploying an application to the OpenShift Platform as a Service (PaaS) can be accomplished in only a matter of minutes due to the wide array of tools available to the developer. 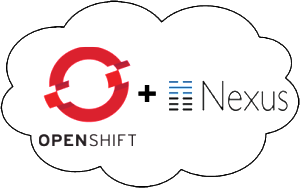 One of the tools provided by OpenShift is the ability to add the Jenkins Continuous Integration server to the development lifecycle of an application. The inclusion of Jenkins affords several incentives for both developers and stakeholders of any development project. First, by adding Jenkins to an OpenShift application, the build process is delegated to Jenkins resulting in far less downtime for the application as typically the application is taken offline during the build and deployment process. Secondly, it brings in the Jenkins Continuous Integration server, with its wide array of plugins and large community support, into your environment. Jenkins is one of the components that make up a continuous integration environment which is a set of software tools responsible for the assembly and distribution of software artifacts. The primary components of this environment consist of a build process, version control system, continuous integration server and finally a repository manager. The OpenShift ecosystem contains the majority of the components with an exception of not being able to easily access and store artifacts that have been assembled as a result of a build process. This process is typically delegated to the final component of the continuous integration environment: the repository manager. One of the more popular repository managers available on the market today is Sonatype Nexus. 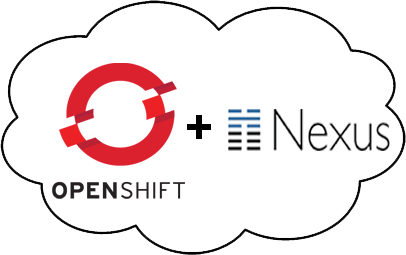 Nexus can serve multiple purposes in an environment as it can be a central location for binary artifacts and their dependencies, act as a proxy between your organization and publically available repositories, and serve as a deployment destination for internally created artifacts. At this point, you have a fully functional repository manager hosted in the cloud. In an upcoming post, I will demonstrate how you can create a fully functional continuous integration environment hosted on the OpenShift platform.